Sheet is available in 3 common sizes; 2m x 1m, 2.5m x 1.25m & 3m x 1.5m. Thicknesses range from 0.7mm to 2.5mm. Available in hot rolled, cold reduced and galvanised. Shearing and folding available on request. For prices and sizes available, give us a call or fill in a request a quote form. 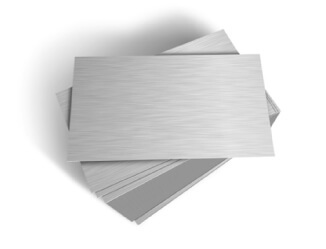 Mild steel sheets can be used in a variety of ways which are specific to your project or construction work. Low carbon content within the mild steel furthers this customisation due to the fact that the steel is easy to work and is receptive to drilling, welding and cutting. Galvanisation of mild metal sheets by applying a protective layer of zinc coating will aid in combating rust and ensuring that the mild steel sheets retain shine and colour. This makes galvanised mild steel sheets perfect for replacement of rusted metals that need to be removed and will prevent rust from occurring once again.